The newly designed Aberfeldy Tartan is to be launched in Aberfeldy on Friday 31st July in a lunchtime event which will be attended by MSP John Swinney, and members of the Robert Wiseman Dairies Vale of Atholl Pipe Band. Mr Swinney will open a shop in Aberfeldy Square, which will stock a variety of goods in the new tartan until August 8th. 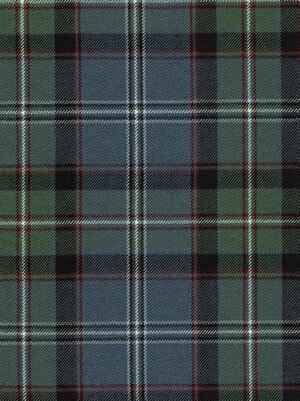 Promoted by Aberfeldy & District Gaelic Choir, the tartan was the brainchild of one of its members, Susan MacDonald. An Aberfeldy Tartan website dedicated to sales and promotion of the tartan, is currently under construction. Meanwhile, anyone wishing to place an order should call Susan MacDonald (01887 820478) or Kate Coaton (01887 830315). Aberfeldy tartan goods are available in Aberfeldy at Haggarts, Wade's Newsagents, the House of Menzies and Highland Safaris. The tartan is available from Strathmore Woollens in Forfar.